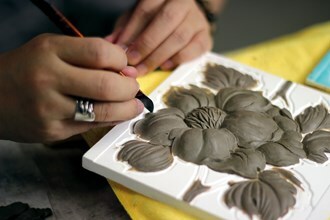 While Japan’s earliest painted decorative tiles emulated the imported majolica, the country soon began to produce its own patterns and designs tailored to the tastes of its export markets. For example, the ethnic Chinese market was partial to auspicious plant and animal designs, such as apples (symbolizing peace), peaches (lon­gev­ity), pomegranates (many children), and fish (abundance), along with the propitious ythical beast the qilin, while the Indian market favored images of peacocks and Gane­sha, the elephant-headed god. 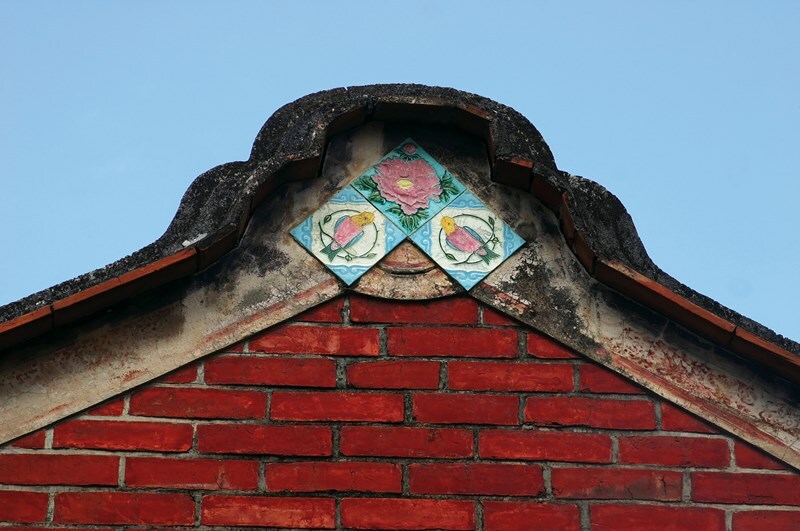 It used to be fashionable to mount decorative tiles on the most visible portions of building exteriors. 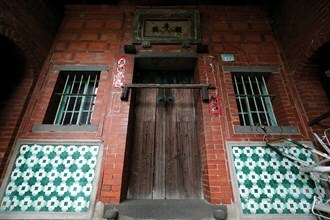 The photo shows an old house in Luzhou. 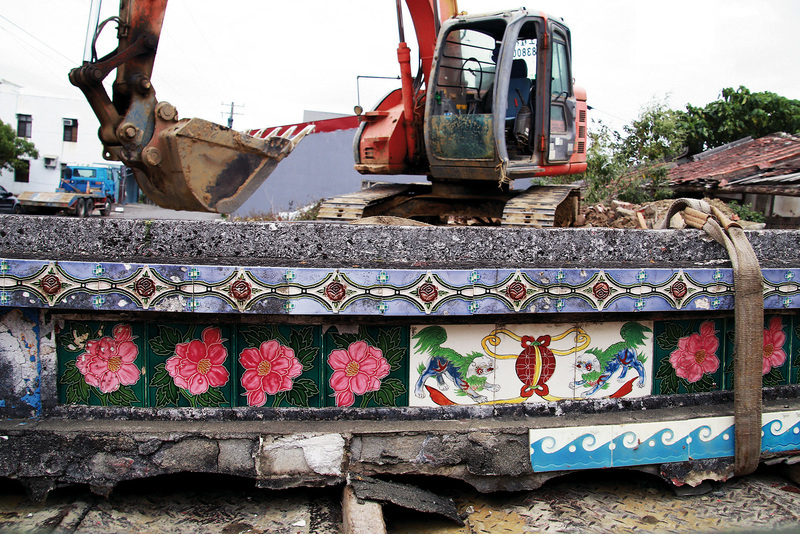 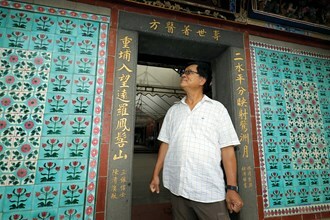 Kang Noushi first encountered decorative tiles on Kinmen. 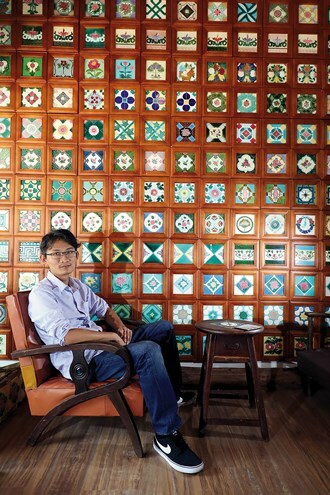 The tiles have since become a lifelong hobby.